Compare to May 4, 2016. May the 4th/Force be with you today. Hello CFers, I normally do not post articles e-mails etc.. unless I feel there may be some value gained. I thought this may be fitting for today. 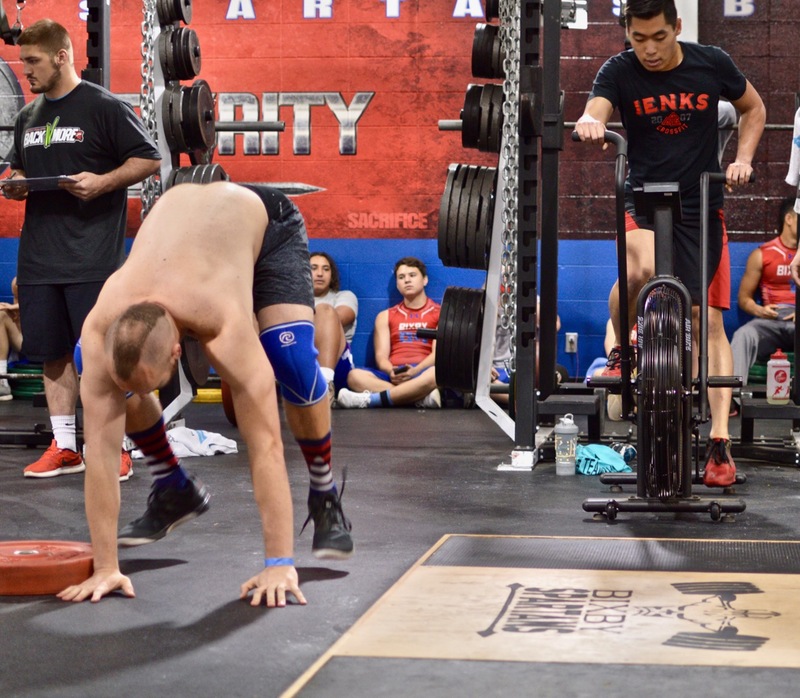 This here is an e-mail from my mental strength coach at Warrior Mind Coach and I found it neat as he referenced CrossFit and what a CF coach wrote. I enjoy reading articles about how to build mental toughness in a specific context that also have a broader application. Here the reason to be cheerful is that you’re living in Colorado and hang out at the Cross Fit gym in E.78th Avenue in Thornton. Being a combi ride away from the great outdoors will also help you to be healthy and improve most, if not all, of your 4Cs of mental toughness. Nevertheless, I was really interested to read the post by Adrian Grodzki from Cross Fit in Thornton, Colorado who writes that developing mental toughness improves health over a lifetime. •	Discipline (he calls it habits) not motivation gets you there. Some of us walk into a CrossFit gym and make a promise to ourselves that we will commit to a life of health and exercise. Three years down the road you feel you hit a plateau and start to create excuses why you can’t do better. You look at the other people in class and justify them getting better because of genetics or pure talent. There is more to the story than that. Science says that at the upper end, only 30% of your achievement is due to your genetics, talent or intelligence. It turns out mental toughness “grit” plays the largest role in achieving your goals. Doesn’t it make you happy to know that? Knowing that there is something you can do to create a change in your life. We are going to focus strictly on our health in this article but feel free to apply this to any part of your life. The people you see in the gym getting better results than you only get them for ONE reason. They are more consistent than you. When they make a commitment, they make sure they stick to it. Here are some other traits of people I have outlined who are consistent. •	They have a clear goal and they stick to it. •	They don’t miss workouts. •	They stick to their nutrition plan. •	They support the other members in the gym. •	They commit to long term goals. •	They don’t let a hectic schedule prevent progress toward their goals. Good news! You can develop the same grit and perseverance as these people. No matter how you were born, the genetics you were given or the person and beliefs you have today – you can possess this “supernatural” grit and consistency. I decided to dive in deeper and discover what strategies you can implement today that will help you. Most people have seen the greatest success with the following three. 1) Determine what being mentally tough means to you. Toughness is very abstract so you must be able to define it in terms that mean something to you. Whatever definition you choose, you must be able to tie it into actionable items. This way when you complete those items you can prove to yourself you are mentally tough. 2) You build mental toughness through small wins, every single day, in everything that you do. It is not just how we respond to intense situations, but our actions in everything else will help us be stronger when those situations occur. This means never take the easy way out. Crank out that extra rep when the weight feels heavy, wake up 15 minutes early to be ready for your day, dig deeper for information instead of taking everything you hear as the truth, or talk to someone that makes you feel shy. When you start winning small battles throughout your whole day, you start building mental toughness. Your proof is in the actions you have taken. 3) There are only habits – motivation never lasts. You have to build upon small habits everyday that overcome challenges that get you closer to your goal. Distractions will happen all the time, but the more consistent you stay to your schedule the better you develop a system to focus on what is important. Eventually your new habits will form a new mental belief. Believe in yourself, and the rest will fall into place. Thanks Breck for the extra push! Thank you, Okie, for the article, your encouragement and energy! WOD RX: LBS had me feeling like I had been “gutted like a ton ton”. Shouldn’t have done heavy Deadlifts yesterday. I attribute this PR to Breck’s man grunts – if that doesn’t motivate you to get in gear, nothing will. Good work today Breck couldnt hang! Thanks for the article DB!! I felt like Jabba the Hutt afterwards. First time to squat clean and take 115lbs OH since my rib separation. Seems okay but tried a 100lb stone and that is not happening yet. Calli, Yoda will need some lessons from you. Smoking time. Did saturdays wod since i will be out of town.. Think this would have gone a little faster had i not just done today’s wod within 2 hours.. Fun one though! Ready to have our big running track back..those 8 laps by the end got a bit boring! WOD MRx (95 lbs, 35 lbs KB, 9.5′ WB), which is how I’ve been rolling lately, and 42 min cap scared me! Sorry for all the grunting. I guess it was the awesome environment of the noon class! Great job to everyone! A few stops to unlock the back. Thanks for sharing Dennis! Great article. I enjoy these fundamental type articles. Keeps things simple and easy to remember and incorporate. Nice go Breck and Max. DB, thank you for the information. Awesome and encouraging read. Great job, Shannon! Couldn’t catch you! I neet to set some goals! I know I could do better…great motivator!! !